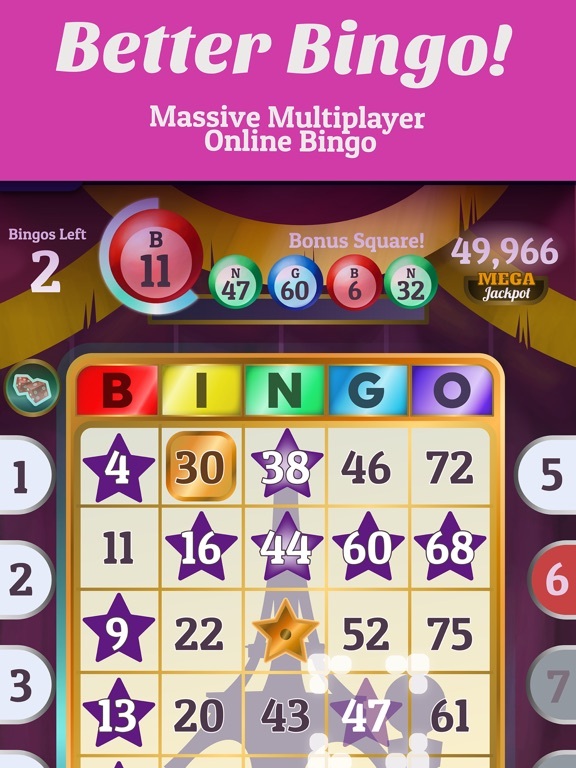 Play Free Multiplayer Live BINGO Games! 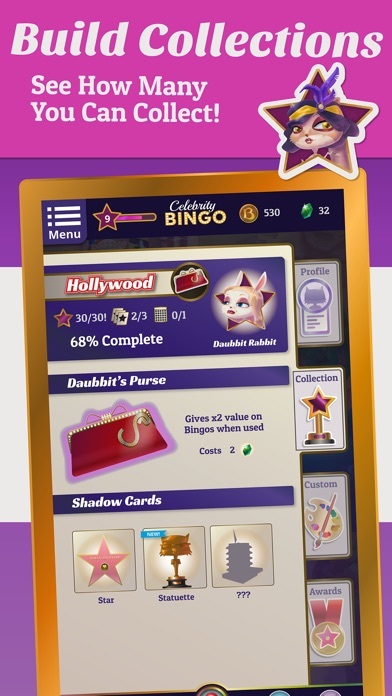 Bingo Celebrity is being called the BEST new Bingo game for 2019! 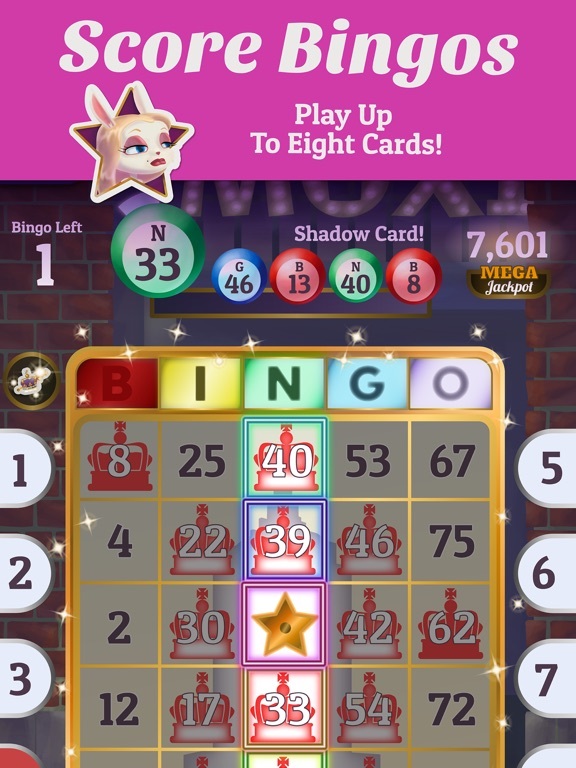 + Classic Bingo games for FREE! 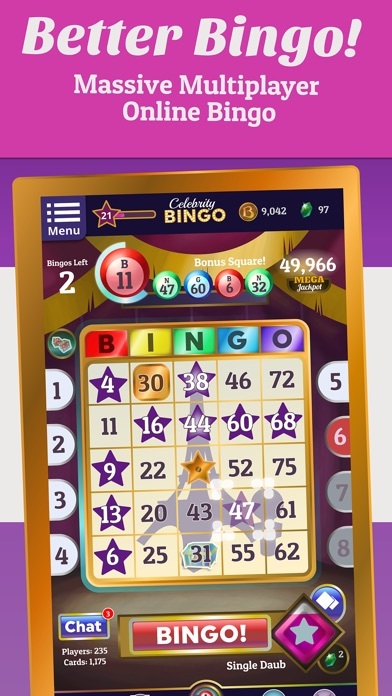 + Play up to 4 Bingo Cards at Once! Portrait Mode! 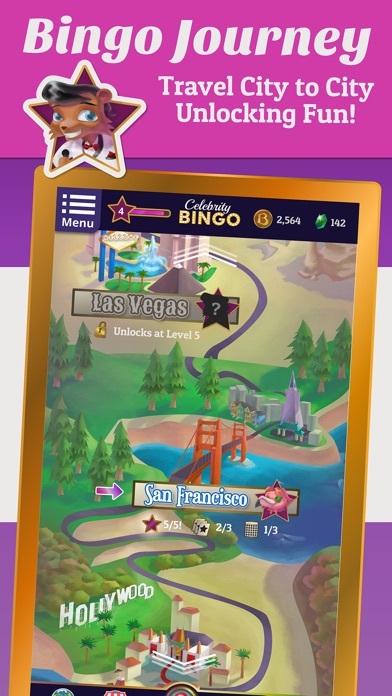 + 7 Cities to play Bingo in - new FREE bingo cities added regularly! + 6 Power Ups to boost your game play + Instant Bingo! + Big Fancy Custom Daubers - daub & play your way! + Different Bingo Callers in Every City! New voice overs, music, sound effects, and more! 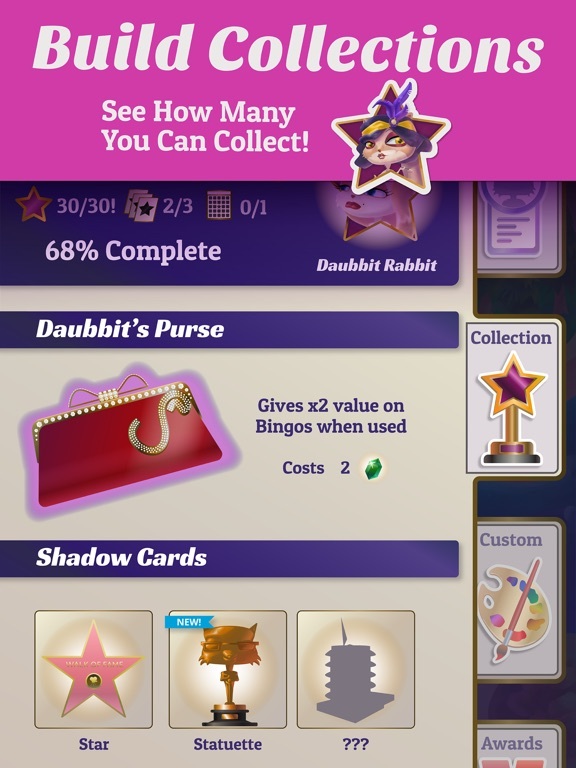 + Connect with Facebook - play with friends, share your achievements and bingos! 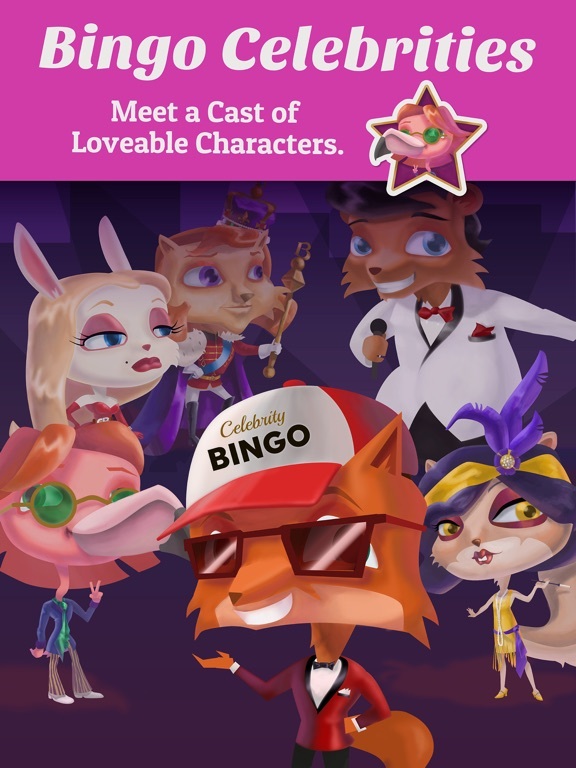 Follow Bingo Fox on a city to city journey, meeting lovable new bingo characters with different fun bingo related themes along the way. 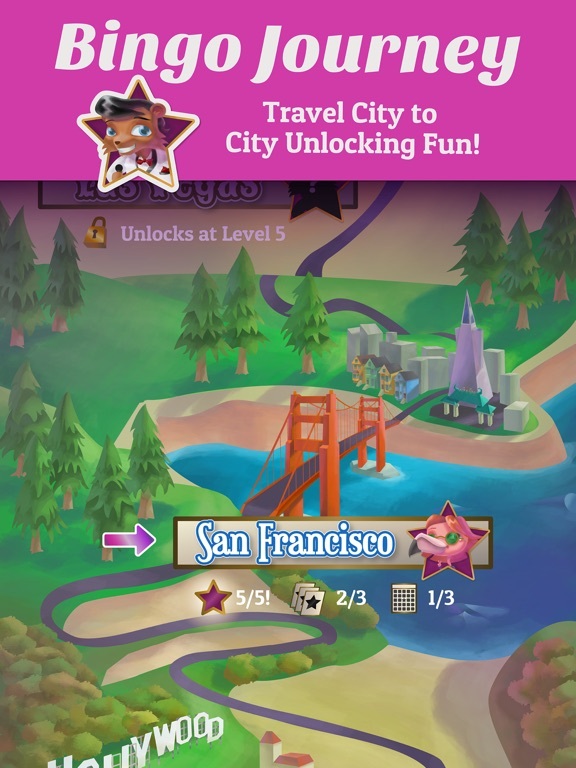 Get Bingo's, boosts, experience points, and special items to unlock the next city! 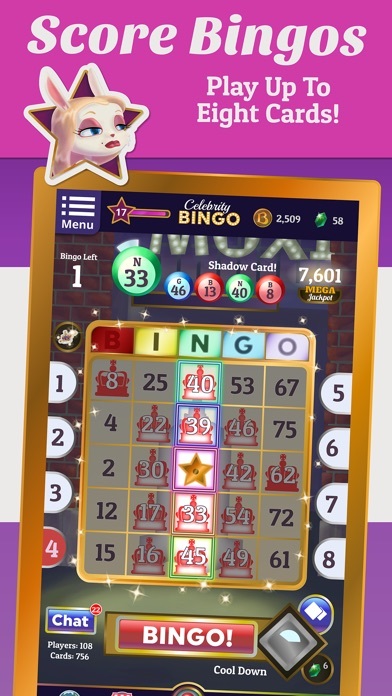 Every city bring a fresh bingo caller, new special items, and bright beautiful new look to your bingo cards. Play unlimited free bingo with your friends. Celebrity Bingo is for entertainment purposes only. This game is intended for an adult audience. The game does not offer any real money gambling and there is no opportunity to win real money or prizes. Practice or success on social casino gaming does not imply or guarantee any future success at real money gaming. Bingo City, and you're the mayor! 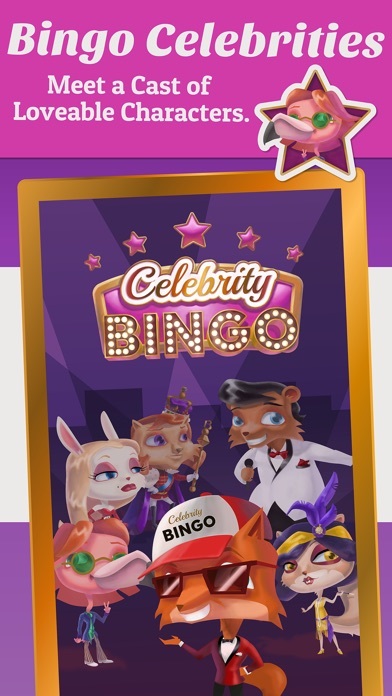 Celebrity Bingo just got tuned up in a major way. + Pretty sure we solved that FB Login nasty bug, sorry about that!!!! You can now login with FB login to save all progress.